SKC’s Johnny Russell got the champs on the board first at BBVA Compass Stadium with a goal in the second minute. The lead held up for more than a half hour, until Quioto evened it up in the 35th minute. Twenty minutes after intermission, the floodgates opened. Quioto scored his second goal in the 66th minute to give the Dynamo a 2-1 lead. Three minutes later, Manotas made it 3-1. He made it 4-1 with an 88th-minute goal to put the game away. Yohan Croizet scored in the third minute of stoppage time — with an assist from Russell — to make it 4-2. SKC’s loss also means the U.S. Open Cup will once again fail to have a repeat winner since Seattle won three in a row from 2009-11. 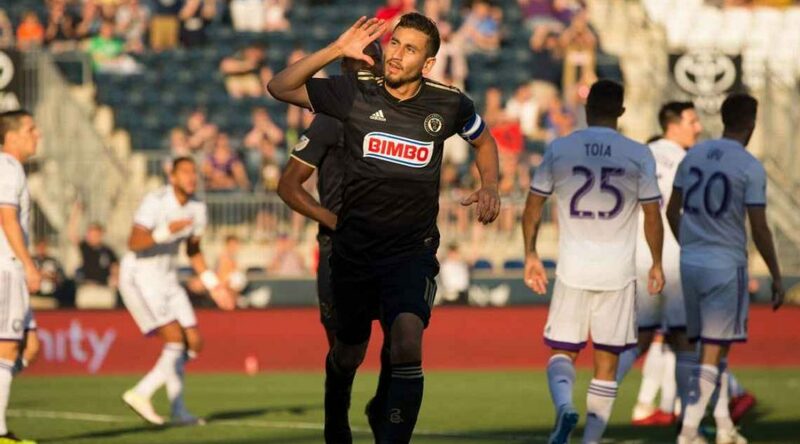 Midfielder Alejandro Bedoya scored in the fourth minute, and the Philadelphia Union kept Orlando City out of the net to advance to the semifinals with a 1-0 win at Talen Energy Stadium in Chester, Pa.
After Orlando keeper Earl Edwards Jr. made the save off a Fafa Picault header, Bedoya put the rebound into the net to move the Union to within a win of their third U.S. Open Cup final. They have never won a trophy, having lost in the championship match of this tournament in 2014 and 2015. 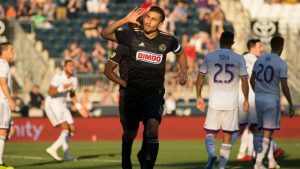 The win also stretched the Union’s streak of U.S. Open Cup matches without an official loss to 13 — the Union’s last three losses in the event have been on penalty kicks, which don’t count as official losses. Orlando has never reached the U.S. Open Cup semis. The Chicago Fire had little trouble with their USL foe Louisville City, scoring early and often in a 4-0 win at Toyota Park in Bridgeview, Ill., to easily advance to the semifinals. They will play Philadelphia on Aug. 7 or 8 for a spot in the championship match. An own goal off Portland Timbers midfielder David Guzman opened the scoring in the 33rd minute and ultimately proved to be the difference as LAFC advanced to the semis with a win at Banc of California Stadium in Los Angeles.